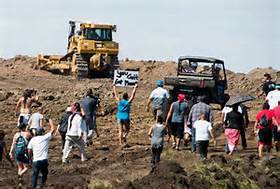 The US Army Corps of Engineers has announced it won’t approve the route of the North Dakota Access Pipeline. 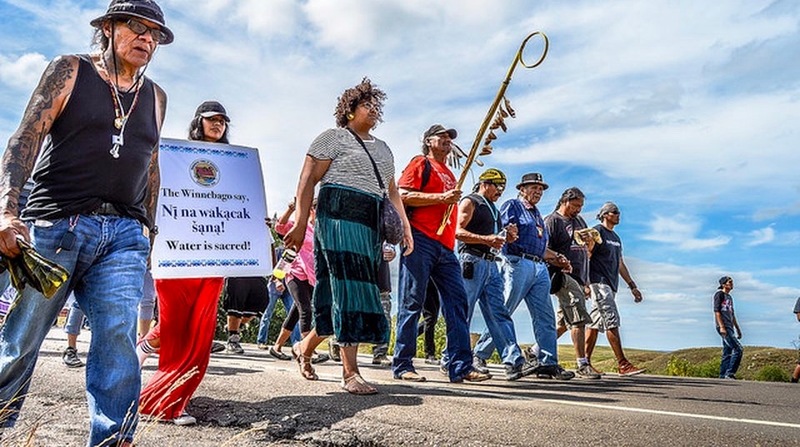 It what seems to be a huge victory for Native American rights, the Secretary of the U.S. Army Corps of Engineers reportedly told Standing Rock Sioux Chairman Archambault that the current route for the Dakota Access pipeline will be denied. According to MSNBC, the Corps of Engineers will conduct an environmental study to see how the pipeline can be rerouted to lessen any potential environmental impact. 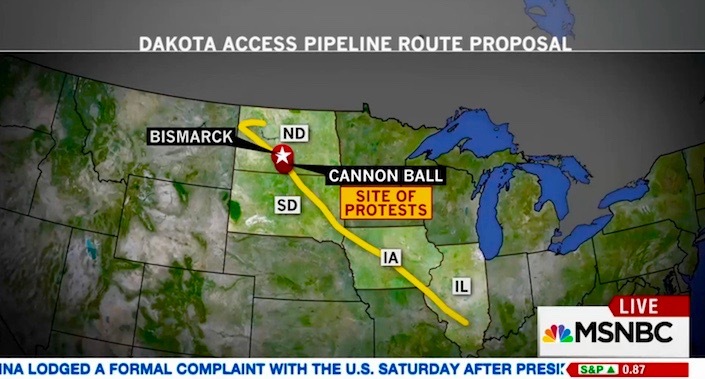 However, the pipeline will not cross the Missouri River under Lake Oahe near the Standing Rock Reservation. Interior Secretary Sally Jewell released a statement Sunday afternoon in support of the decision. “The thoughtful approach established by the Army today ensures that there will be an in-depth evaluation of alternative routes for the pipeline and a closer look at potential impacts, as envisioned by NEPA,” Jewell said in the statement. The protesters had been facing a Monday deadline to vacate their encampment near Cannon Ball, ND. “We will not fight tonight, we will dance!” Rami Bald Eagle, Cheyenne River Lakota Tribal Leader shared the great news, with much celebration breaking out among the people. Thousands of U.S. Veterans have boots on the ground at the Standing Rock Protest, many more than expected. Tim King, former editor of Salem-News.com, is there and heard the announcement. U.S. military Veterans have been standing “out front” for a couple of days with more of their brothers and sisters-in-arms arriving daily. No, they do not have weapons. 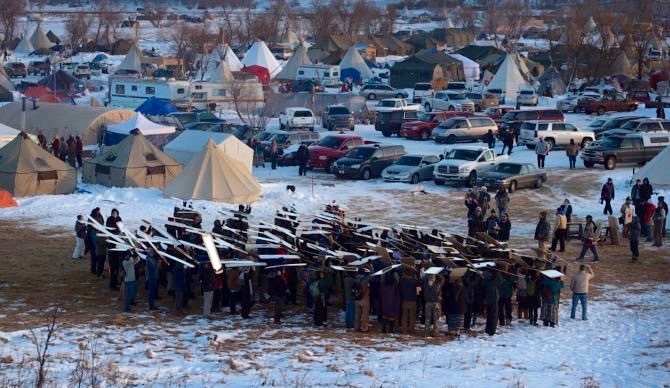 The bitter cold has not chilled the passion behind stopping the pipeline. The many members of “Veterans Stand for Standing Rock,” brought supplies such as gas masks, earplugs and body armor, to stand firm as a unit to protect protesters from the police and their rubber bullets. But instead, tonight they dance. It looks like the Americans have won, after all.